A tribute to the modern day woman who is feminine, strong, free and sensual. Inspired by the new face of the fragrance, Angelina Jolie, Mon Guerlain is a stunning fresh oriental perfume with notes of Carla Lavender, Sambac Jasmine, Album Sandalwood and Vanilla Tahitensis. The most predominant note in this perfume is the Vanilla and the wear is moderate to great. 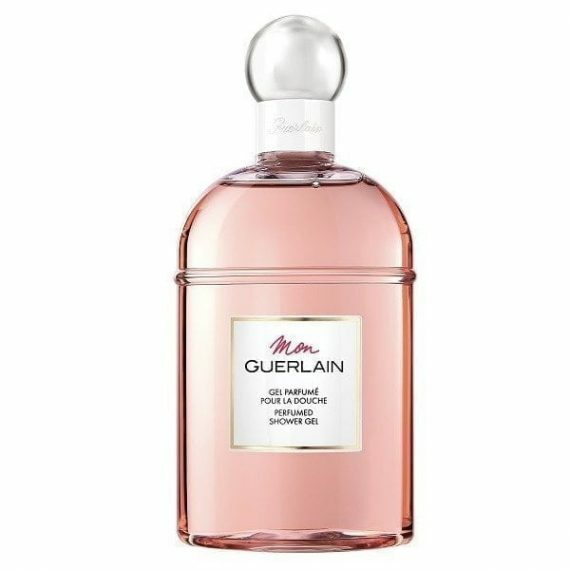 Cased in a stunning yet simple quadrilobe bottle with the lines representing the strength and the curves representing the sensual juice inside, Mon Guerlain is available as an Eau de Parfum spray in three sizes, 30, 50 and 100ml with a shower gel and body lotion available to compliment. Use in the shower and enjoy the aroma! Use before the eau de parfum spray and body lotion to increase longevity.